Quoizel Lighting Asheville Collection 3-Light pendant fixture in bronze finish, features steel construction. 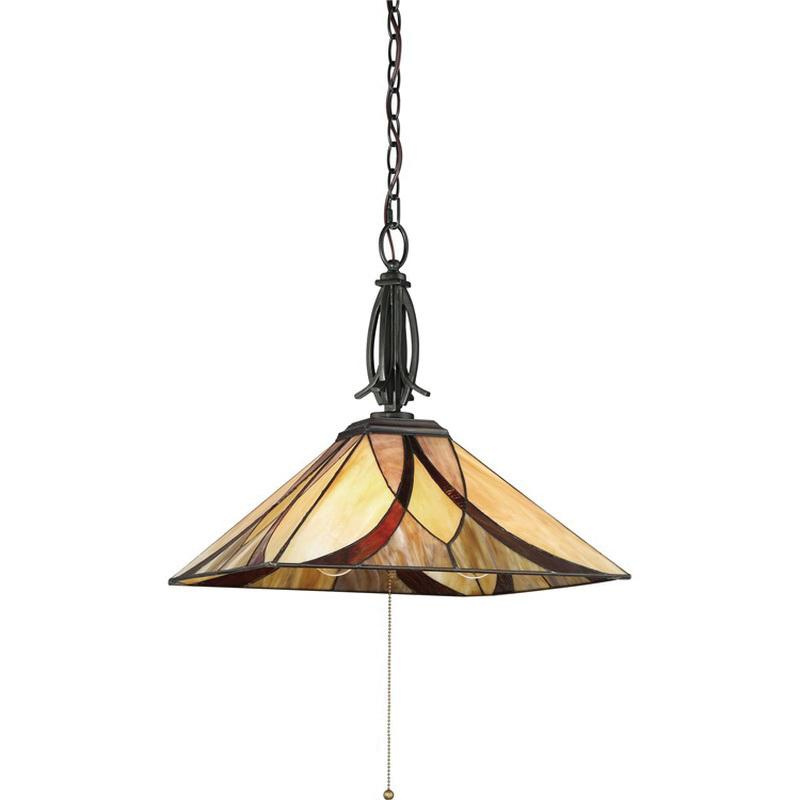 Tiffany glass measuring 7.75-Inch x 17-Inch x 17-Inch, offers even light distribution. Fixture supports three 100-/23-Watt CFL spiral lamps that have voltage rating of 120-Volts. Fixture measures 17-Inch x 17-Inch x 17.5-Inch. Base backplate of this fixture measures 1.75-Inch x 5.5-Inch. Fixture comes with 8-ft lead wire for hassle-free installation. It is ideal for dining room, foyer and kitchen. Fixture is ETL listed for damp locations.